Important nutrients for the maintenance of normal bones Orthomol Osteo contains important micronutrients for the bones. 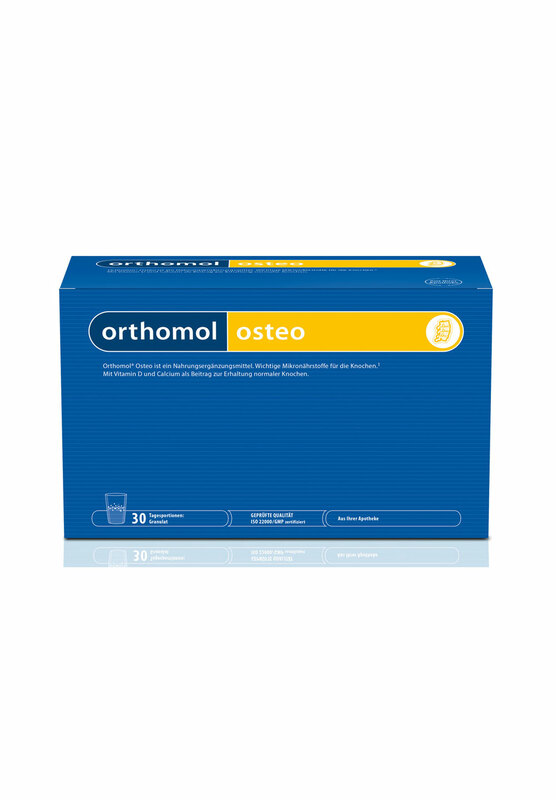 With vitamin D and calcium for the maintenance of normal bones. Vitamin D contributes to the normal absorption/utilisation of calcium. Vitamin C, vitamin K, vitamin D, as well as zinc and manganese, contribute to the maintenance of normal bones.